Looking to book Chamillionaire for a corporate event, private party, fundraiser or public event worldwide? BookingEntertainment.com makes it easy and trouble free to check availability and pricing for booking Chamillionaire or any other act in the business with absolutely no obligations. Booking Entertainment is the leading entertainment booking agency specializing in booking Chamillionaire. We will be happy to help you get Chamillionaire's booking fee, or the price and availability for any other band, comedian or celebrity you may want for your corporate event, birthday party, wedding, fundraiser or public show. At Booking Entertainment, we put our 23 years in business behind you to help you get the best price for any entertainer, comedian or celebrity for your event. In addition, our team of seasoned industry professionals can handle every aspect of the entertainment portion of your event to make sure the entertainment runs flawlessly. If you are wondering how to book Chamillionaire for your event, you can trust our Chamillionaire agent to handle it for you. Find out why Fortune 500 companies, high net worth individuals and fundraising organizations come back to Booking Entertainment year after year for their entertainment buying needs. We can literally book any act for you anywhere in the world. This kid from Houston, Texas has some nerve. That's what came to mind as you watched an MTV special in early 2005 showcasing H-Town's commercial and artistic re-emergence on the rap scene. 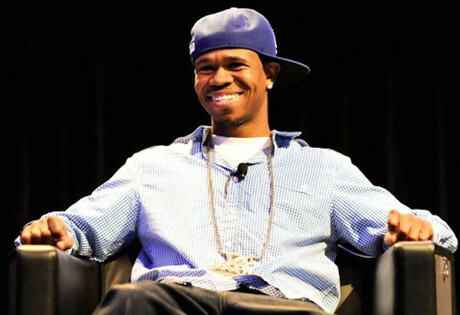 Following his brazen freestyle, the focused and much-heralded MC known as Chamillionaire faced a national audience and launched a swagger-filled proclamation on camera: "I'm the truth from Texas..." While such boasting may seem par-for-the-course in the prideful 25-year-plus history of hip-hop, the latter ambitious statement aptly describes Chamillionaire. It's the reason why he earned the lofty alias "The Mixtape Messiah," a title Cham was crowned after independently selling over 100,000 copies of the Get Ya Mind Correct album, and by selling thousands of his numerous mix tapes. It's why the former member of Houston's legendary mix-tape power Swisha House garnered coverage in such major hip-hop publications as Source and XXL without the backing of a major deal. When the Houston lyricist set off a major label bidding war to distribute his Chamillitary Records, it became abundantly clear throughout the 'hood and the music industry - Chamillionaire is indeed the truth. Chamillionaire recruits an impressive list of talent on his debut effort, including Lil' Flip, Bun B, Scarface, and Krayzie Bone, as well as in-demand producers Scott Storch (50 Cent), Mannie Fresh (Lil' Wayne, Baby, Juvenile) and Cool & Dre (The Game). But, it's his work with Atlanta studio kings The Beat Bullies (Big Boi/ OutKast) that sets the tone for much of The Sound Of Revenge's diverse platform. "They understand me," Cham says of the in-house producers. "There are a lot of producers that have dope beats, but they don't know me as an artist. [The Beat Bullies] being from Atlanta, can take it to the strip clubs, the streets and to the radio." The name "Chamillionaire" represents the unique style that defines the talented urban artist, and his ability to change and adapt on the fly, forcing people to respect the true breadth of his talent. And just as this MC moniker exemplifies, Chamillionaire is anything but predictable and most certainly versatile. "Picture Perfect" featuring Bun B comes off as a lyrical nod to the classic 'hood swagger of UGK, while the Beat Bullies'-anchored "Radio Interruption" showcases Cham's prowess for walking the blurred line between street praise and mass appeal. The storytelling brilliance of "No Snitching" (Cool & Dre), finds Cham detailing the unwritten laws of 'hood politics. On the Scott Storch produced "Turn It Up," Cham tag-teams with freestyle king Lil' Flip as they spit over an infectious track that is Houston's answer to a summer club banger. And the soulful "Here Comes The Rain" finds Chamillionaire exploring the daily struggles of life with heartfelt lyricism and ghetto angst. Chamillionaire has definitely seen his share of struggles on his road to redemption. Born to a Muslim father and Christian mother, secular music was banned in his household. Chamillionaire was barely a teenager when he moved to a low-income neighborhood in the notorious North Side of Houston, following the separation of his parents. By the early '90s, however, rap rebels such as NWA, Public Enemy, as well as hometown heroes The Geto Boys, 8-Ball & MJG and UGK would inspire a young Hakeem to write his own rhymes. - Bio courtesy of Universal Records. Dubbed "the Mixtape Messiah," Houston's Chamillionaire arrived late as a major-label artist during his city's 2005 takeover of mainstream rap -- the Top Ten Sound of Revenge, released during November that year, followed albums from Mike Jones, Slim Thug, and former Color Changin' Click partner Paul Wall -- but he had already built a loyal following outside the South and received significant print coverage. Through a prolific succession of mixtapes, Chamillionaire (born Hakeem Sediki) became known for his deep, versatile voice (he sings his own hooks very effectively) and lyrical ability. Originally part of Swishahouse, he switched to Paid in Full, where he and Paul Wall collaborated on 2002's Get Ya Mind Correct -- an album that sold 100,000 copies. Prior to inking his deal with Universal, he founded the Chamilitary label and began grooming the careers of brother Rasaq and 50/50 Twin. For more information on booking Chamillionaire, please contact Booking Entertainment. One of our top booking agents will be happy to work on your behalf to get you the best possible price to book any big name entertainer for your upcoming public, private or corporate event worldwide. The agents at Booking Entertainment have helped clients book famous entertainers like Chamillionaire for private parties, corporate events and public shows around the world for over 23 years. Our agents will be happy to assist you with any of your famous entertainment buying needs. All you need to do is fill out an entertainment request form or call our office at (212) 645-0555, and one of our agents will help you get pricing information and available dates for Chamillionaire or any other A-list entertainer for your next event. How to book Chamillionaire for a corporate event? Booking Chamillionaire for corporate events is a great way to thank your employees and clients, and in addition, hiring Chamillionaire for a corporate event is a fantastic way to promote your company's image to your industry. Booking Entertainment can book Chamillionaire for corporate events worldwide, providing you with the fee to book Chamillionaire and their availability on your specific date. We have helped our clients book Chamillionaire and thousands of other acts for almost 25 years. Whether you are looking at hiring Chamillionaire for a corporate event, product launch, trade show, holiday party or an employee appreciation event, your assigned Booking Entertainment agent will be happy to get you the best price for booking Chamillionaire and help make sure that every aspect of the entertainment portion of your corporate event is executed flawlessly. How much does it cost to book Chamillionaire for a corporate event and what do the fees for booking Chamillionaire include? If you are looking to hire Chamillionaire for a corporate event and are looking for Chamillionaire’s booking fee for corporate events, Booking Entertainment will be happy to get you pricing to book Chamillionaire for your date for free. The cost of hiring Chamillionaire for your corporate event can include just the price of booking Chamillionaire for a corporate event, or we can give you an estimate for booking Chamillionaire that includes absolutely everything that goes into hiring Chamillionaire including all fees, flights, hotel, ground, production, green room requirements and our veteran production team onsite to make sure everything runs smoothly from load in to load out. How Much Does It Cost To Hire Chamillionaire? Looking for Chamillionaire booking cost, fee or pricing? When you are booking an act like Chamillionaire, many factors determine the final price, including the artist's touring schedule and other shows they may have in your area. Fill out an entertainment request form or call our offices at (212) 645-0555 and one of our booking agents will get you a pricing fee and availability for your date and assist you in booking Chamillionaire or a different well-known act for your next event. How Do I Hire Chamillionaire For A Private Party? Wondering how much does it cost to book Chamillionaire for a private concert or will Chamillionaire play a private party? Whether you are looking to book Chamillionaire for a wedding, private party or anniversary party, our Chamillionaire booking agent who specializes in booking Chamillionaire will be happy to help you to book Chamillionaire and take care of everything necessary to make sure the show is executed flawlessly. Fill out an entertainment request form or call our office at (212) 645-0555 and one of our Chamillionaire booking agents will assist you in hiring Chamillionaire for a private event anywhere in the world. How do I hire Chamillionaire for a college concert from booking agencies that book concerts for colleges and universities? Booking talent for college and university events is something Booking Entertainment has been helping college talent buyers do for almost 25 years. Whether you are looking to book Chamillionaire for a sorority party / fraternity party or a college concert event sponsored by the college entertainment committee, college talent buying is something we specialize in at Booking Entertainment. Simply fill out our form, email us or call the office and one of our college booking agents will be happy to help you make sure that every aspect of booking Chamillionaire or anyone else for you college event is taken care of to ensure your college or university concert runs smoothly and cost effectively. How much does is it cost to book Chamillionaire for a college or university concert and are fees for booking college concerts less expensive? When college entertainment buyers book famous entertainers such as Chamillionaire to play for college concerts, sorority parties or fraternity parties at colleges and universities, we know the acts tend to charge a lower fee than they would cost for a traditional public or private concert. Of course, how expensive it is to book college entertainment depending on how big of an act they are, but colleges and universities tend to get a better fee for booking big name entertainment for college and university events. One of our college entertainment booking agents will work closely with you to make sure you get the best possible price for your college’s concert. Buyers who don't have a lot of experience booking famous acts often find the process frustrating when they try to do it on their own. Our Chamillionaire agent that specializes in booking Chamillionaire can use our reputation and relationships to help you navigate the entertainment buying process and get your offer for booking Chamillionaire seriously considered. The artist’s managers want to know that everything will be handled properly, and Booking Entertainment’s stellar 23-year reputation and our attention to detail provide them with the peace of mind that the show will be flawlessly executed from beginning to end. How Do I Book Chamillionaire For A Fundraiser or Gala? Wondering how much does it cost to book Chamillionaire for a fundraiser or will Chamillionaire play a gala? Your assigned Chamillionaire agent will be happy to help you to book Chamillionaire and we can even take care of everything necessary to make sure booking Chamillionaire is easy and trouble free. Fill out our entertainment request form or call our office at (212) 645-0555 and one of our booking agents for Chamillionaire will assist you to book Chamillionaire or any other entertainer or celebrity for your next fundraiser or gala anywhere around the world. How Do I Book Chamillionaire To Perform At My Wedding? You might ask yourself, “How do I hire Chamillionaire for a wedding?" We have helped hundreds of clients book acts like Chamillionaire for weddings and wedding ceremonies worldwide. Your assigned Booking Entertainment agent will not only be happy to assist you in hiring Chamillionaire to perform at your wedding, we will be onsite to make sure booking Chamillionaire for your wedding is executed flawlessly. Can I book Chamillionaire for a wedding and how much does it cost to book Chamillionaire to sing at a wedding? If you are serious about booking Chamillionaire for a wedding, Booking Entertainment will gladly get you the Chamillionaire booking fee and availability for booking Chamillionaire for your wedding date. The price for booking Chamillionaire will include all of the fees and additional expenses necessary to hire Chamillionaire for a wedding including all production costs, flights, hotels, ground and green room requirements. If I hire Chamillionaire to perform at my wedding, how do I integrate booking Chamillionaire into my wedding? Hiring celebrity entertainment for a wedding is a great way to surprise the guests or even the bride or groom. When we book big name acts like Chamillionaire for weddings, we work closely with the wedding planner beforehand to make sure everything involved with the entertainment integrates seamlessly with the flow of the wedding . Our staff of veteran producers will then be onsite at the wedding to make sure when you book Chamillionaire for your wedding, everything runs smoothy from load in to load out. How do I contact Chamillionaire’s agent or Chamillionaire’s manager? Even if you have Chamillionaire contact information, Chamillionaire’s management contact info like Chamillionaire’s manger's email or even Chamillionaire’s manager's phone number, you still need a company like Booking Entertainment to help coordinate everything that is necessary to book Chamillionaire to perform for your event. Agents and managers contact us all the time to help people that find the agency contact info or management contact info and contact the agents and mangers directly. Managers and agents trust our agency to handle everything to the industry standard as we have for almost 25 years. How Do I Book A VIP Experience With Chamillionaire At A Event Or Concert? With Booking Entertainment, booking premium seats and backstage meet & greets with Chamillionaire is easy and accessible to anyone around the world. Fill out an form or call our office at (212) 645-0555 and one of our agents will assist you to get pricing and availability to have Chamillionaire VIP experience at a concert or event. Booking Entertainment works to get the best possible Chamillionaire booking fee and Chamillionaire price for our clients while also providing the celebrity or famous entertainer with the level of professionalism and industry norms that they expect from an event run by a professional booking agency and production management. Booking Entertainment uses our agency / management relationships and over 23 years of production experience to help buyers of headline / top name entertainers and does not claim or represent itself as the exclusive Chamillionaire agent, manager or management company for any of the artists on our site. Booking Entertainment does not claim or represent itself as the exclusive booking agency, business manager, publicist, speakers bureau or management for Chamillionaire or any artists or celebrities on this website.